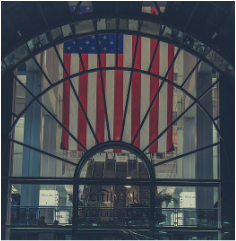 ﻿Veterans Capital Corp﻿ is a specialty finance company providing quality financial and leasing services to all types of business clients. We are committed to providing a sound financial alternative to traditional bank financing with competitive cost effective leasing and commercial loan solutions. Veterans Capital and its investment partners nationwide understand the value of long term relationships, building loyalty and making a commitment to its valued customers. We have provided lease lines of credit and growth capital for early stage and emerging growth companies both public and privately held. In addition, we have funded commercial loans and sale/ leaseback transactions. Veterans Capital has acted as a valued facilitator for project finance, real estate and financed private movie film ventures both in the US and Europe. "Veterans" is in our name and will always be part of our Mission.